Separated into four stages (‘Earth’, ‘Fire’, ‘Water’ and ‘Air’), the layout out was easy to navigate once your eyes adjusted to the shadows and the dark sea of leather jackets and beards which threatened to make every corner look almost exactly same as the last. The crowd were a friendly bunch however, after all. A refreshing absence of assholery which has been an unwelcome tag-along to most festivals of late was left at the door, presumably thanks to the stringently moody security guards who were poised to subdue a mainly well-behaved gathering. First on the itinerary (we highlighted it and everything…some were even underlined…go figure) were punk legends Wire. It’s hard to believe that when these guys came onto the scene they were compared to their art college compatriots, Pink Floyd. We couldn’t imagine Roger Waters feeling at home on this intimate stage. 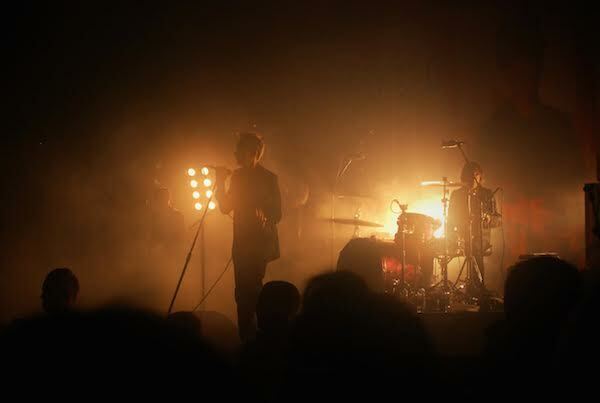 Back with new material, including the apt ‘In Manchester’, Wire remain at best when they give in to their raucous punk urges. 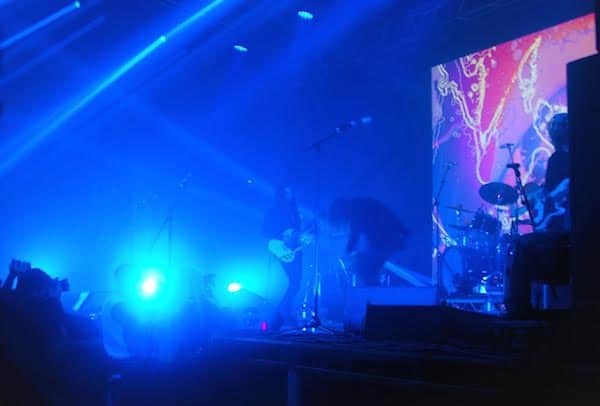 Over on the ‘Air’ stage, Uncle Acid and the Deadbeats looked every bit the soon-to-be headliners, pulling in an already-loyal horde of fans to this year’s festival. Injecting some much needed attitude to the proceedings (well, until The Brian Jonestown Massacre got there anyway), their sexily raw riffing could probably rival even the Blackest of Sabbaths. Denmark’s finest (don’t tell Aqua) The Ravonettes were next, teasing new songs from their newly-crowdfunded album and their 2003 debut, Chain Gang of Love. There’s still plenty of potential in this cooly-stylish duo, they’ve always just evaded a wider audience appeal. Hopefully the new album and tour will rectify this. A small hop, skip and a jump away were Of Montreal, who absolutely won the Soundsphere trophy for best dressed on the night. Their happy-go-lucky sound continues to betray their lyrical tales of woe and melancholy. We still had a bloody good dance though. Back to the ‘Air’ stage for the two headline acts of the night. With their rock and roll reputation preceding them, The Brian Jonestown Massacre languidly compose a set of some the best songs of their nearly 30-year career, and judging by the size of the crowd, it seems that the West Coast jangly low-fi psychedelia continues to resonate. At their most electrifying they are comparable to Some Girls-era Rolling Stones, but BJM reign supreme when they let reality give way to dreamy soundscapes and strung-out stoner guitar. New collaborator Tessa Parks relinquished tambourine duty for a haunting rendition of ‘Anemone’, a track which still seems to encapsulate BJM’s lovingly-resurrected sounds of a bygone era. 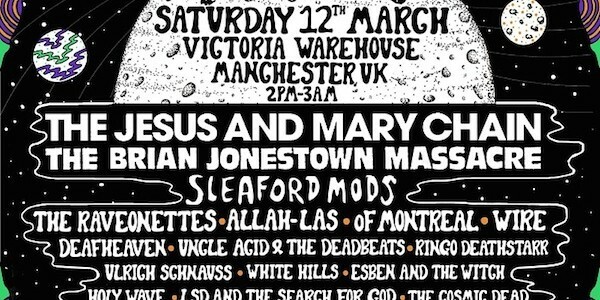 Not to be outdone, The Jesus and Mary Chain return to Manchester in an understated fashion. Frontman Jim Reid sets the Scottish band’s stall out briskly, saying “We’re gonna play some songs. 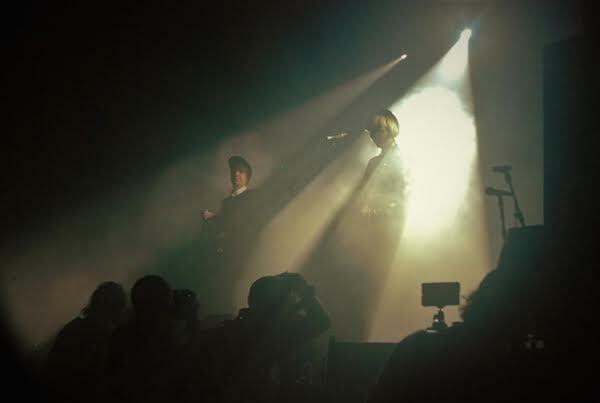 Hopefully you’ll know some of them.” Reid powers through the set, looking like Scandinavian architect in a stripy t-shirt and black jacket. 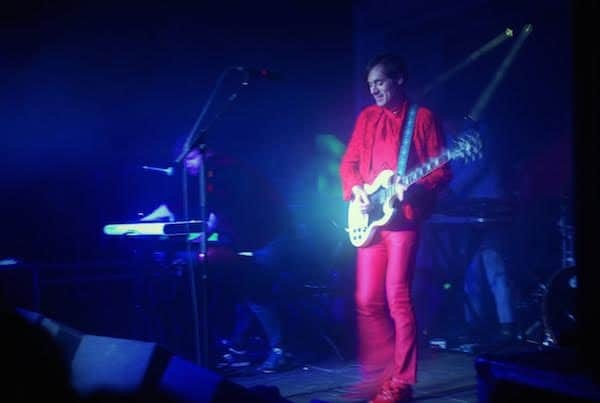 Shoegazing hits like ‘Just Like Honey’, ‘April Skies’ ‘Snakedriver’ (from The Crow OST, Soundsphere isn’t too embarrassed to point out) are welcomed gratefully by an adoring audience, despite the anniversary tour of first album Psychocandy which has dominated the set lists leading up to this headline slot in Manchester. Over all, a perfect festival for those who want an alternative and less commercial festival to ease them into the summer, Cosmosis is an antidote to the sprawling travelling circuses which can overwhelm the essence of experiencing live music. Understated stage design, limited advertising, laid-back outside spaces, Cosmosis is a refreshingly utilitarian festival experience. 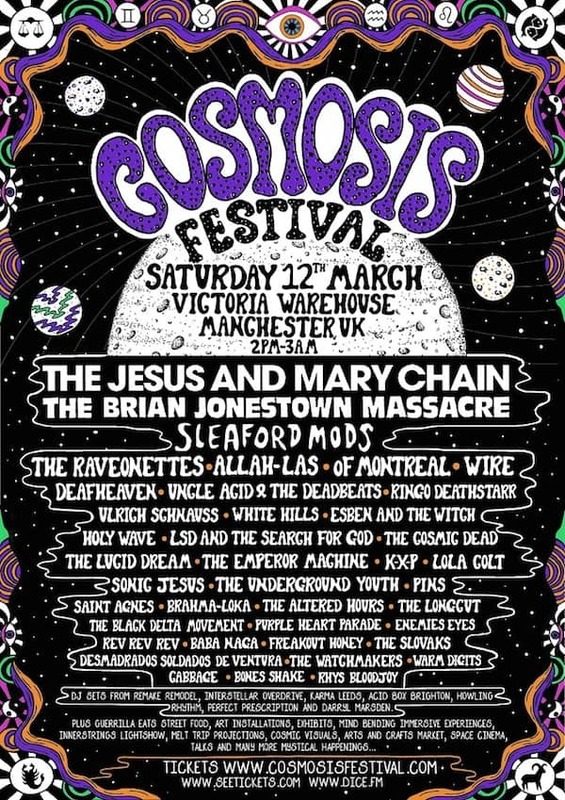 No doubt in for a shout for one of the small festival awards later in the year, Cosmosis is thirteen hour psych-fest for the soul. And not a single lava lamp in sight. All photography by Naomi Jade Stanton.